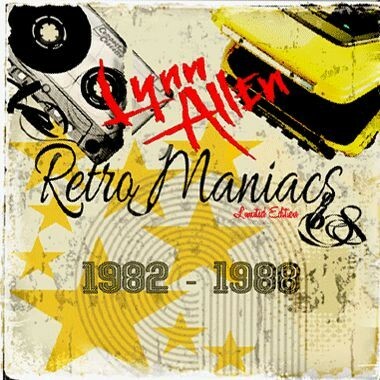 A Melodic Rock band with over thirty years and several albums under their belts, Iowa's Lynn Allen have a cult following among AOR aficionados and a determined leader in singer/guitarist Bill Pieffer who's kept the band going through thick and thin. It's been over five years since their last album so this compilation of their original 1982 debut EP and demos from their early years will be greatly welcomed by fans. Having changed musically over the years, their 1980's pomp was comparable to bands like Tradia and Sugarcreek, so these well-recorded songs are a valuable addition to the LA discography, particularly the long out-of-print EP, but several others on this ten song release are worthy of your attention too. It doesn't actually state if the tracks are in chronological order so I'm guessing that they are, kicking off with the simple, punchy Pop Rocker 'Tell Me' with its great vocals and melodic keyboard solo, and in general the songs get more Pompy as the release goes on. Long time fans will be familiar with the solid Rocker 'Leave Me Alone' as it was re-recorded for their 1984 debut album 'We Laugh At You', whilst 'Bad Reputation' has a catchy chorus and the laid-back 'No Good To Me' is a nice change of pace. I could generally do without their admittedly decent version of the early Hall & Oates hit 'Rich Girl' and the Rocker 'Can't Stay Away' outstays its welcome, but the other four songs are all good quality Pomp/AOR with big hooks and great playing. 'It's You' is probably the pick of the bunch with glorious keyboard fills from Ron Froese and traded vocal lines between (I assume) he and Pieffer, but the very Sugarcreek-like 'Reputation', the instantly memorable 'I See The Look In Your Eyes' and the Poppy 'Solo' are not far behind. For a collection of demos this is a pretty good sounding release so I can't understand why Pieffer was originally reticent to let them be released. Now that they're out and limited to just five hundred copies, I can only suggest that if you're a fan of the band, you really should own one.